The capital of the Catalonia region in Spain – Barcelona, is rich in history and architecture. With modern landmarks, famous museums, stunning architecture, Roman archaeological sites, and countless fountains and plazas, there is something for everyone in this city. It is quite overwhelming for a first-time visitor to take it all in. Here is a list that captures the Best of Barcelona Attractions – one that brings out the essence of this lovely town. 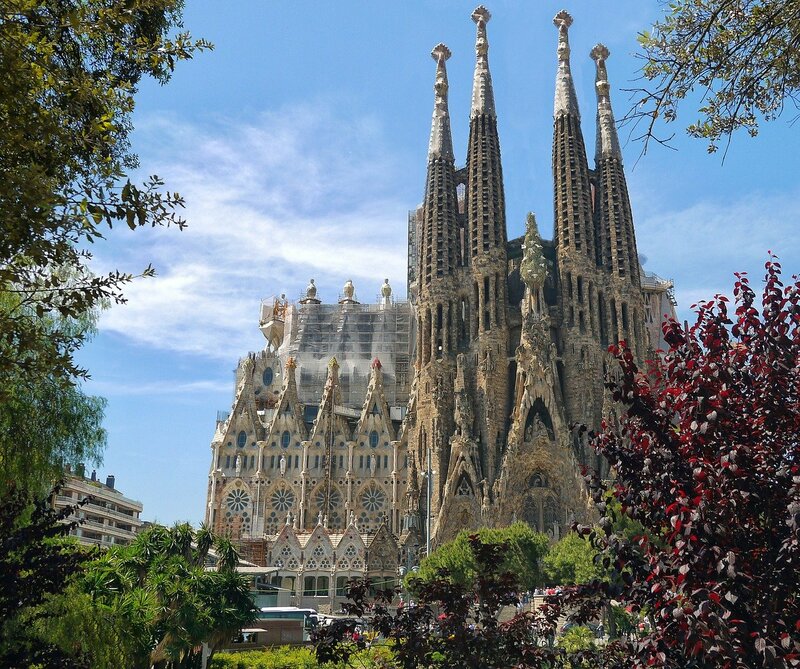 Barcelona has over 30 churches and cathedrals. 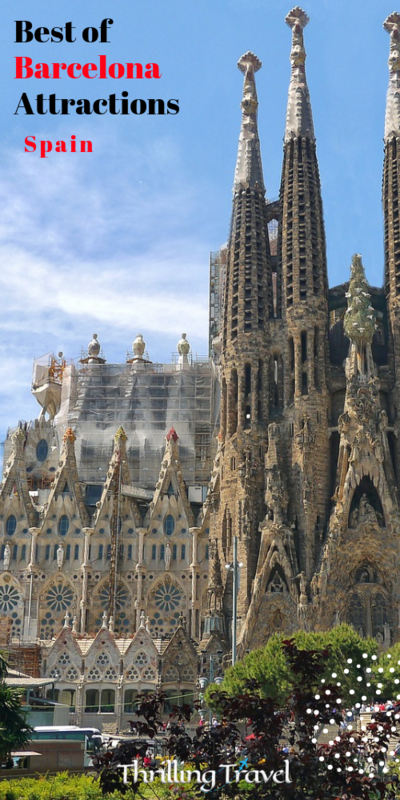 The two most famous tourist attractions are the Sagrada Familia and Barcelona Cathedral. The others worth noting are the Basilica de Santa Maria del Mar and the Basilica de la Merce. Barcelona Cathedral is not to be confused with Sagrada Familia. They are completely different buildings. The official name in Catalan is Catedral de la Santa Creu i Santa Eulalia. 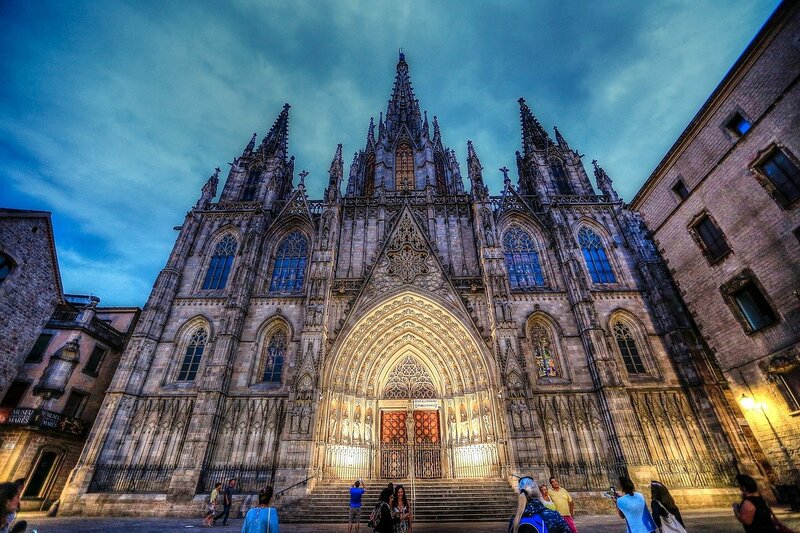 This is also, known as Cathedral of the Holy Cross and Saint Eulalia. Construction of the stunning Cathedral began in the 13th century and was completed in the 15th century. The Cathedral contains tombs of several Saints and Bishops. The entrance here is charged and you must make sure that your shoulders are covered when you visit the same. Barcelona has over 160 art galleries and museums. Visiting some of these museums require a complete day. So, you will really want to decide which is a priority for you. 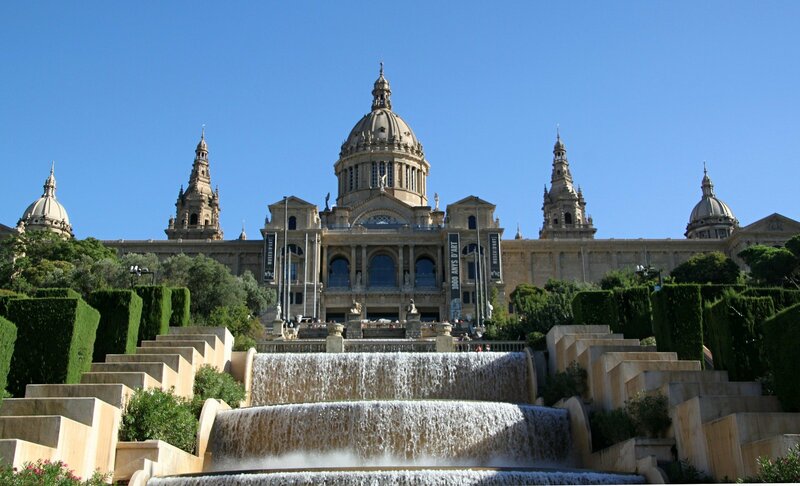 The most popular Museu Nacional d’Art de Catalunya (MNAC), Museu d’Historia de Barcelona (MUHBA), and Museo Picasso. 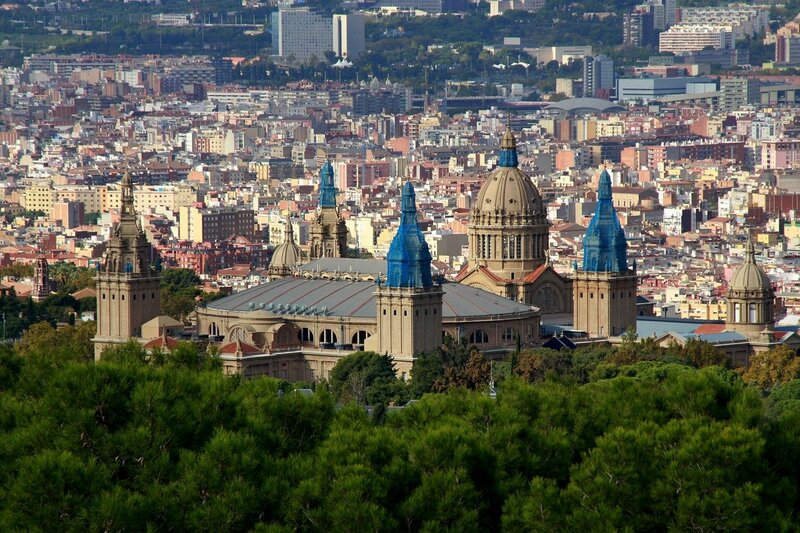 This stunning building is the backdrop to the famous “ Magic Fountain ” and sits on top of Montjuic hill. It is one of the largest museums in Spain. It is housed in a stunning Italian-style building dating back to 1929. The museum is known for its exceptional collection of Romanesque church paintings, and for local Catalan design and art from the late 19th and early 20th centuries. You can also get a birds-eye view of Plaza Espanya and the city of Barcelona from the Terrace areas in front of the building. The MUHBA museum is involved in researching, conserving, communicating and exhibiting the historical heritage of Barcelona. Discover the history of its origins in the 14th century Roman times until the present-day Barcelona. Walk through an old Catalan Gothic Quarter, built in the 15th and 16th century, to get to the entrance of the museum. These used to be courtyards to private houses. The archaeological space under Plaça del Rei is over 4000 m2. The exhibition showcases daily life. It includes Roman houses, factories (dying, laundry, winery, and salted fish), shops, and streets. Additionally, there are remains of the early Visigoth and Christian Episcopal architectural complex. 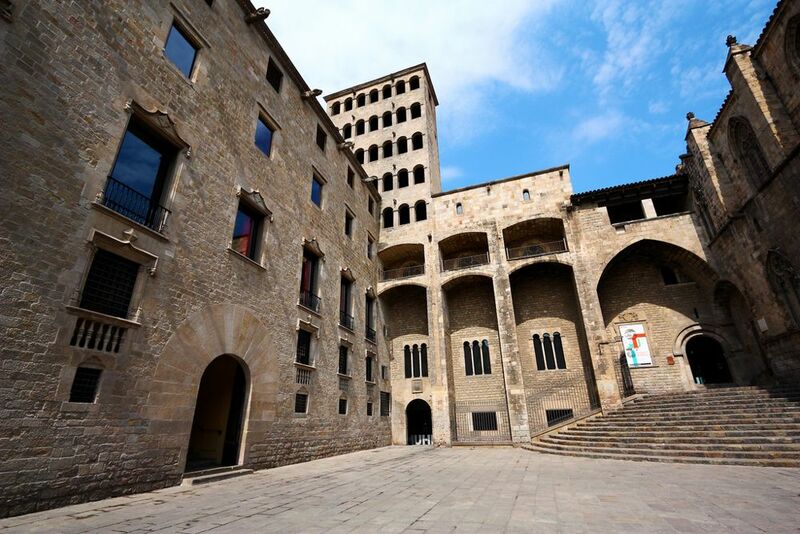 The Picasso Museum is located in five adjoining medieval palaces within Barcelona’s city center. The collection includes over 4,250 pieces from Pablo Picasso. This was the first museum dedicated to the Spanish artist. Started in1963, it was the only one created and opened during his life. The museum displays the relationship between Barcelona and Picasso beginning with his youth, through adolescence, until his death. If you like Museums, you will love the Vatican Museum too. Check out the masterpieces done by Raphael and Michelangelo through this post. The stunning architecture throughout Barcelona is all thanks to Gaudi and several other modernist architects. The three popular places that you can experience this art are as below. 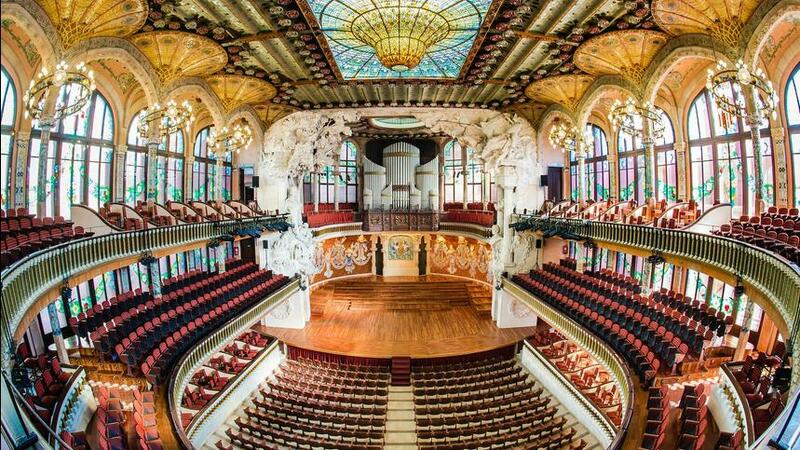 My personal favorite place is the Palau de Musica. Palau was designed by architect Lluís Domènech i Montaner, a Catalan modernista. The stunning building was built between 1905 to 1908. The place was added as a UNESCO World Heritage site in 1997, Over 400 shows take place every year. Additionally, there are several building tours available for the visitors. They help you admire and appreciate the finer details within the building – like its gorgeous stained glass windows. Casa Batllo was a redesign of a previously built house in 1904. Antoni Gaudi, along with his assistants Josep Canaleta, Domènec Sugrañes i Gras, and Joan Rubió. Considered one of Gaudi’s masterpieces, it has very few straight lines. The sculpted stonework, colorful mosaic, irregular oval windows, and arched roof make it an unforgettable building. Tours are available inside. However, beware of the long lines to get in. 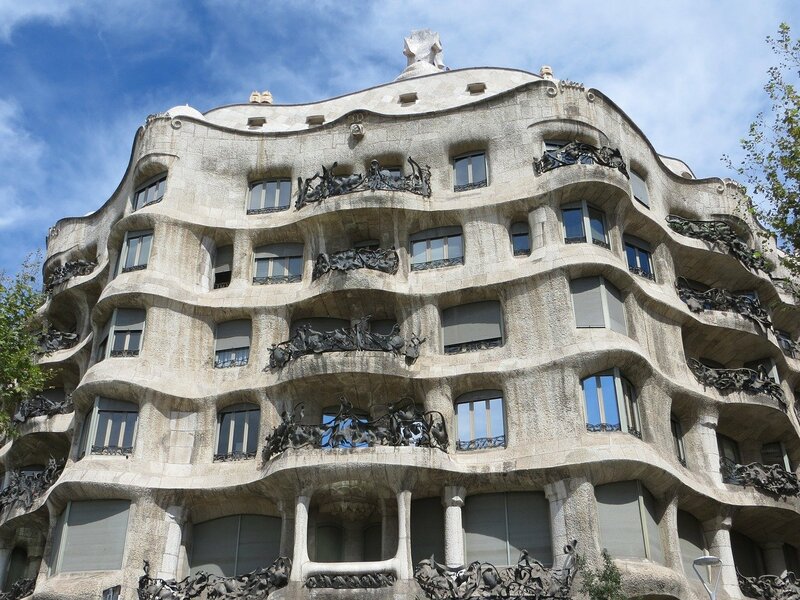 Casa Mila is also known as “The Stone Quarry” or La Pedrera. It was designed by Gaudi and built between 1906 & 1912. In fact, this is the last private residence designed by the architect. It contains a stone façade, twisted wrought iron balconies, and an astonishing rooftop terrace. The place has been declared a UNESCO World Heritage Site. It hosts educational activities, cultural events, exhibitions, and rooftop parties. Again, you can opt for a tour of the building to explore and appreciate its details. These are just a few of the things to do in Barcelona. The city also has numerous monuments, thousands of restaurants, and a thriving nightlife. You can relax at one of several parks throughout the city. Additionally, Barcelona has ten beaches with several beach activities. You will always see magnificent sandcastles being made, and large areas with people playing volleyball or football. Remember to take out time for some water sports. Surfing, sailing, paddle boarding, and wind sailing are just a few of the activities that you get involved with on the water. It is no wonder that Barcelona is a favorite in Spain. All set to go there? Disclaimer: This article includes affiliate links. 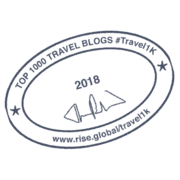 This means that at no cost to you, I will receive a small   commission if you purchase through my link. Thank you for supporting me with this. Gorgeous! Barcelona looks so vibrant and fun. It sure is. 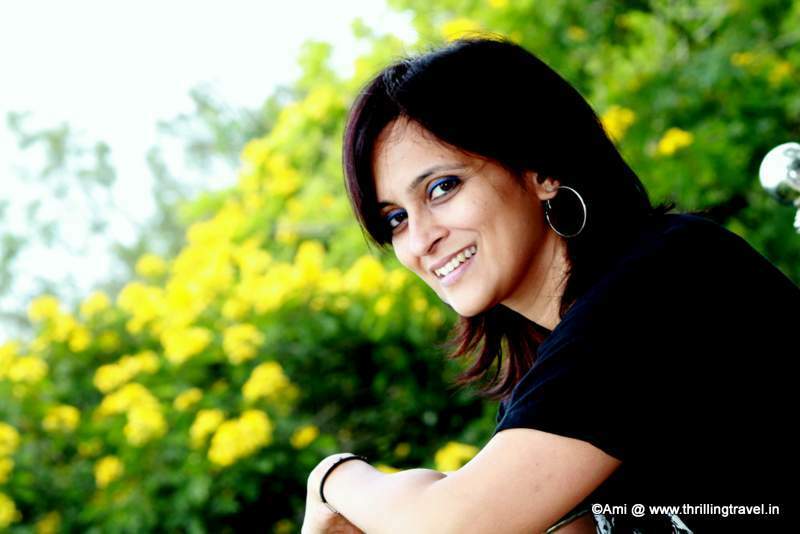 Thanks Renuka. Stunning photos. Very informative post. Thank you Rupam. Barcelona is a beautiful city. You should try to visit it one day. 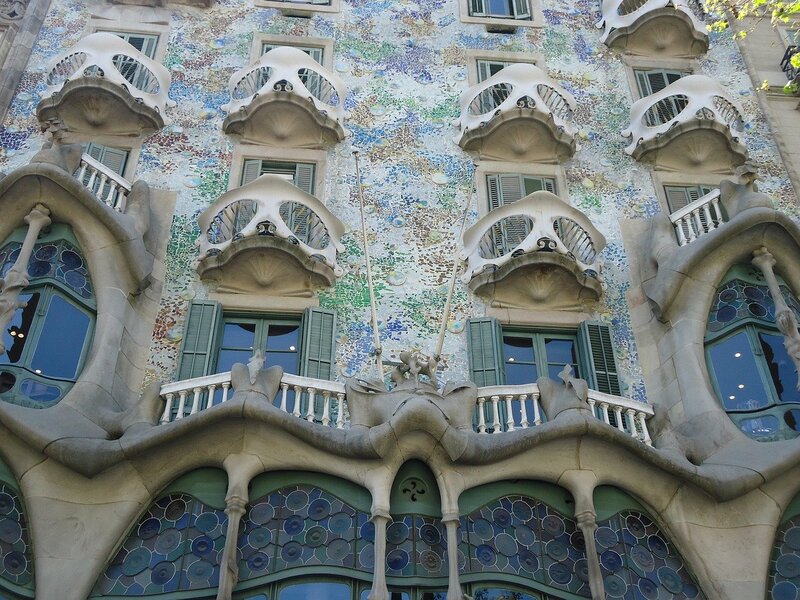 Fabulous pictures I particularly liked Plau de Musica Catalana and Casa Battlo. Truly a vibrant city. The Plau de Musica is one of the most beautiful buildings I have ever been in. It is a place where every visitor should see a show while in Barcelona. It sure is. And I hope I can see it soon. Yes, Barcelona is an amazing city. I have spent most of the last two years there. You should try to visit one day. Nice post thanks for sharing information , keep sharing. What a Pictures stunning quality keep sharing like this . 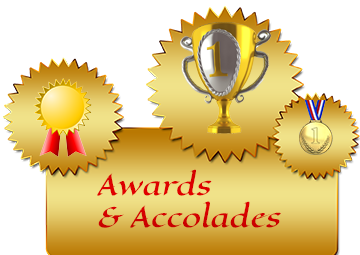 Thanks for sharing such a good pictures .